BBC NEWS | World | Europe | Europe diary: Free movement? In his diary this week, BBC Europe editor Mark Mardell discusses the gap between the EU's aspirations regarding freedom of movement and the reality, Slovenia's sense of exclusion, and high jinks in Venice. The diary is published every Thursday. The sea is a passion for Giorgio Dalla Pieta, the owner of a Venetian shipyard. 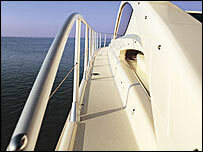 He makes luxury yachts which sell for around a cool £3m a go (more than four million euros). But visiting his yard we hear he's some times frustrated by the demand of millionaires for TVs in the bathroom and the latest flash gizmos and gimmicks stuck on to his boats. He thinks they should enjoy the calm of the sea and the high quality craftsmanship. But he's got another frustration. He says so many people work in the tourist industry in Venice that it's difficult to get the skilled labour he needs. He says people from the neighbouring country, Slovenia, are particularly good at carpentry and navigation so he's disappointed that Romano Prodi's new government is set to follow the course set by Silvio Berlusconi and won't allow free access for people from the eight former communist countries which joined the European Union a couple of years ago. The old EU members had until 1 May to decide whether to extend the ban for another three years or join Britain, Ireland and Sweden by letting them in. Spain, Portugal, Finland and Greece are now letting them in. It's one area where the yawning gap between the EU's aspirations and the behaviour of some of its most important members borders on hypocrisy. In the metro station in Brussels by my office there was until recently a poster advertising the fact that this is the European year of workers' mobility. Hopeful and enthusiastic young people, with more than a touch of socialist realism about them, stare towards a red skyline composed of the London Eye and other famous European landmarks. Fine, as long as they're not Poles gazing at the Bundestag. On the Commission's web site there is a page extolling free movement of workers as a fundamental freedom, the most important for individuals. It adds at the bottom, like one of those rushed disclaimers in radio adverts, that "it will not yet fully apply across the enlarged EU". I make my first trip into Slovenia to see how they feel about being excluded by the Italians. It seems a comfortable sort of place, very green with pretty little villages nestling under the mountains. The roads are much bigger and better than on the other side of the border. There's a confidence here. In the port of Koper, I watch a coal barge from Indonesia tie up, but the biggest trade is importing cars from the Far East. This is one of the richest of the new member states but average wages are much lower than in the old 15. I watch a small ceremony in the town of Nova Gorica to celebrate the limited rights that do exist for some cross border workers. People in the border provinces can work in the next door province. It's an odd place: there's a little square where you can cross freely between Italy and Slovenia and back again, with no customs, and no barrier. But signs all around make it clear this is purely symbolic - you can skip around the square to your heart's content but are not to go any further into the other state. There are similar shades of grey about the free movement of workers from Slovenia. Italy has actually not filled up the quota it set. Many Slovenians prefer to stay at home. I'm shown a document that suggests only 39 of them applied to work in Sweden for instance. But their sense of pride is hurt. "We're second class citizens," says one man. "The stars of the European Union no longer shine so bright," says another, obviously a poet at heart. In Venice, the streets are crowded with boisterous young men and women garlanded with large laurel wreaths, and dressed in garish clown-like clothes, often with one leg unclad, smears of lipstick on their faces. They gather round to thump each other on the back while downing tumblers of the potent local cocktail, which shines a bright orange. It's graduation day, a big thing around here. One local tells us that when he got his degree he had his head shaved, and was then put in the canal in a child's inflatable with a spoon to paddle across. Although stag nights spring to mind, a vague comparison crosses my mind with some Roman ceremony where servants became masters. But as I haven't got my laptop with me, I can't Quaero it (as President Chirac hopes we will all soon be calling the use of a search engine). What is the festival I'm thinking about? An apology. I indulged in an office joke in last week's posting about European music. Maartin Lernout (yes it was misspelt as well) is one of our camera men who has something of a passion for playing guitar (his Eye of the Tiger is particularly famous) and is devastated by the break up of his band. First time I've ever slipped something in like that and I won't do it again. All your e-mails last week will keep me busy. Richard from Edinburgh: thanks for your contribution, but I didn't spot any musical recommendations. Thanks especially to Yuki, for defending what I was trying to do in an article covering a holiday period. Please send us your comments on issues raised in the diary, using the postform below. I am against the restrictions to the movement of workers applied by the Italian governament. However I feel the need to defend Italy on some respects. The Slovenian (at the time Jugoslavian) minority in Italy has always been justly recognised, with, for example, official sanctions of the Slovenian language to be used both in general documentation and in school teaching. People I met from the area of Koper had to fly from the Jugoslavian (and I do mean to make a clear distinction between Jugoslavia and Slovenia) state because of fear of reprisals due to their Italian origin. Of all the problems facing Europe these days I do not believe EU labor market restrictions make a difference, the point is, if a laborer wants to migrate into one of the EU countries he does it without having to wait for a permit with the belief that things will sort themselves out later on along the way, or ask me and my friends since everytime I come around the station to pick up a friend there is a new group of rumanians with not a clue of Spanish or English asking for the nearest bus stop to the city center, heck, I love to see them come with their spirits high and full of hopes and dreams, I have made it a custom to give them 5 Euros and pointing them in the right direction, welcome to your new home friend. Equal rights in the EU? I don't think so. I am a US citizen who has lived in Europe since 1974. I graduated in Germany as a dentist and worked in my profession in Italy from 1991-2005. I am now married to a UK citizen, and living in England where I have not been allowed to practice my profession because of my citizenship...Because of the need for dentists, colleagues from the eastern countries are being "imported" to work in the UK...True that I am not a EU citizen, but I am married to one and have a daughter who is born in Europe...So, German degree, spent 13 yrs in Germany, another 15yrs in Italy, a dentist in Italy but a 2nd class citizen in the UK. Isn't it a paradox that in this day and age we still have racial problems? And that I had to store my dental equipment in a loft while UK citizens cannot find a NHS dentist who will treat them? This is what is called political red-tape. Immigration is a portfolio that should have been transfered to our supranational institution a long-time ago. It damages national politics, and people are too little aware of its need and its different forms, leaving generalisations always possible. If this was discussed at the European level (quotas, free movement ect...) we would prevent the nesting of racism in national politics. In relation to the free movement of labour between Slovenia and Italy lets look at the facts. (I'am an Australian working in Slovenia) Firstly, this notion that Slovenians will flood into Italy for work is absolute nonsense. Slovenia is the wealthiest new EU member and most Slovenians are not interested in working outside Slovenia while those who do are high paying professionals not unskilled labourers. Secondly, just as Slovenian workers cannot work in Italy, Italian wokers cannot work in Slovenia because the Slovenian governmenet has also imposed restrictions on workers from Italy in retaliation. This exclusiion of workers hurts both Italy and Slovenia because both countries have a shortage of skilled workers. Thirdly, there is alot of bittersness and suspicion between the two countries which is a hangover of the second world war when both lost territory they claimed - the Slovenians lost the border towns of Gorizia and Trieste while the Italians lost the coastal towns of Koper and Piran. While Slovenia has attempted to address these issues by recognising the Italian minority in Slovenia and giving them a representative in Parliament, the Italians have failed to do the same for the Slovenian minority in Italy. For any meaningful reconciliation to move forward, this situation must change. In the meantime, Slovenians will look to friendlier countries like the UK for work. Citizens of the new EU countries have more rights to move and work in European Union than citizens of rich countries outside Europe (Canada, Australia, Japan, etc). For example, Canadians are not allowed to work in the EU without a special permit and may stay in the EU without a visa only 3 months (6 months in the UK). On the other hand, Europeans who want to work in the USA or Canada experience difficulties in obtaining work visas. I do not see reasons for restricting free flow of labor between countries of similar economic standards. I find restriction on movement more of a populistic movement than actual policy based in fact. A lot of Slovenian students are making use of EU programs to go abroad for a year or two, and young people travel a lot, which is made easier by being a member state - in this respect I don't feel like a second-class citizen. The fear of overwhelming migration across the border is ridiculous, though. Although the GDP per capita is smaller in Slovenia, the purchasing power is on par with some other EU countries, and moreover, the standard of living is pretty comfortable, in a nice country, with a tradition of not being mobile, investing a lot of time and work in a house and local neighbourhood. Most people simply wouldn't move, unless the incentive was really strong and specific, in which case there is a clear need abroad for such people. The more I travel and work in different EU countries the more I realise how many restrictions there are within the EU. It seems like we have 25 governments all fighting for their own rights and therefore making the EU very inefficient as a whole. There is an EU market and an EU culture and the governments should be ready to hand over their power in certain sectors to an EU level, so that there is ONE standard that will be cheaper and more efficient like tax, energy, border control, infrastructure, work and education etc. That way governments and regional institutions can focus more on supplements to tailor-make for the needs of people of that region including for example culture and social activities. Someone asked the question how does an ex-communist look like. It is very simple: you go to eastern Europe and ask for a socialist. Then the people will nod with understanding and say, "ah, yes, you are looking for a former communist." So find an east European "socialist" politician. This is how an ex-communist looks like. I am afraid though that the specter of communism has moved from the east and is nowadays haunting the western part of the European continent. Which is why most "old" EU members have closed their job markets - too much socialism! A significant part of the population (and a dominant majority in some "old" countries) enjoys doing nothing and consumes social welfare! ... It is obvious that such societies will not want a legal influx of dynamic people who would force the locals to get off social welfare programs and start working. On the other hand illegal immigration is tolerated because such people work hard (which helps pay for the social welfare of the locals), have no voice, and are easy to dispose of. Being a citizen of a former communist country, soon to become an EU member, I can say that: Capitalism in the west of Europe is mostly dead. This alone makes the place quite unattractive, for years to come. I'm curious to know how Slovenes got to be "good at navigation" given they only have a few miles of coastline! 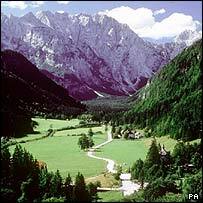 I also wonder where Mark went in Slovenia to find roads that were bigger/better than the ones in northern Italy. When I went there (as a cyclist) 3 years ago, many of the roads used as main freight routes were very narrow, and some of the 'roads' on the map turned out to be gravel tracks! Can somebody explain to me how an ex-communist look like? I have asked one Dutch woman(didn't know where she was from) if she was speaking hungarian, and her answer was "dutch" and then "Do I look like ex communist?" The answer to closed labour markets to a new members is IGNORANCE and NATIONALISM. So unfortunate that people in Europe(not everyone, I am talking about people in all 25 countries though) are so closed minded and because of that at some point Europe will be a paradaise of old people and broken social security. All young and educated europeans will be looking for jobs in countries like Australia, Canada, USA and emerging powers like China, India, Brazil where productivity is more important than color of a skin.Globalisation is unvoidable and europeans should allow immigrants from all over the world to come and make Europe competitive. In Italy, despite a lot of rhetoric about the right to work, politics is really about maintaining conditions for the privileged people who already have jobs, not creating more jobs for those who don't. So it's no surprise at all the foreigners are also excluded. I have lived in Italy 16 years, with only the last 5 being in the hands of Mr Berlusconi and his Centre Right Government. Yes, he did pass some pretty selfish legislation, and anyone who knows Italy, knows that you don't become as rich as he is without shady dealings. All this makes little difference in a country where the masses gripe daily about this and that,continue to spend and buy as they need to, despite moaning at the cost, and worst of all, continue to think that the Mafia is a good thing and immigrants are all crook. What needs to change in Italy is more than the government. The mentality of the Italian people must become more open and flexible, if Italy is to change and move forward to truly become a major player in the developed world. Otherwise it risks becoming a faded economy, where visitors only come to marvel at the one time medieval spendour of its cities. This is not the only serious control on EU citizens moving around. Polish citizens, if they are not careful and get the paperwork exactly right, will be taxed in Poland on their UK earnings when re-enter Poland. There needs to be a Euro-wide tax system whereby citizens on pay tax once. Another tax is the Krankenkasse in Germany - another tax and another restriction on free movement of people. I personally and many of my colleagues do not feel as a second class citizen just because some EU governments do not want to open up their borders to workers from new members of the EU. I actually understand sentiments of their citizens and support them. The feeling touched upon by your reporter actually comes from the lack of self-respect by many people in what you would call Eastern Europe. I would also like to set the record straight. You reporter claims average wage in Slovenia is lower than in the old EU15. True. But only partially. They are lower than the average of EU15. Slovene average wage is actually higher than in Portugal and is comparable to those in Spain and Greece. The EU is a Union of independent states. I wish it wasn't so, but the citizens have never tried to overcome this (e.g. by voting truly European parties into the European Parliament). National thinking prevails on all levels and it seems that it is getting worse. Few are putting Europe first on their agenda. Therefore, states reserve the right to limit access to their labour markets (until 2011 only, of course). In return, some new member states have imposed other restrictions, e.g. on the purchase of farm land. Those who want to break down the barriers should see both sides. In particular Poland has been a real problem: It wants to export some of its unemployment, but at the same time foreign investors are ostracised. Europe needs Europeans, not petty nationalists! Maltese workers are free to work in most of the EU countries, the only burden is the high fares and taxes we have to pay each time we have to cross over Europe (be it for work or holiday). Travelling by air or sea is our only means of transport. An hour flight for Rome and back will cost us £M115 (260 euro). That's good incentive for EU's freedom of movement! I believe it is a bit too early to start blaming Mr Prodi. He is not yet in charge and he has not been even asked to form a cabinet as of today, so the decision to delay free access to the new EEC members was Mr Berlusconi's responsibility. This is frankly the first I've heard of there being a border-crossing problem for Slovenes and Croatians: there are plenty here, working mainly in lower-paid jobs. No mention can be made of this area, however,without looking at the historical context. In 100 years, Trieste has been Austrian and Italian, and also administered by Yugoslavia (50 days)), Germany (a year or so) and Allied (1945-54). Italy's policy with regard to Slovenia and Croatia in the past five years has been dominated by demands for reparation for homes lost in Istria and Dalmatia after these became Yugoslavia after the War (curiously fomented by the far right which, after all, lost the area to Yugoslavia in the first place by promoting a futile war). Amongst the elderly, there is still much ill-feeling against the Yugoslavs, and Trieste is full of old people. Italy has allowed this grouse to fog its vision, enabling others (Germany and Austria) to set up closer relationships with the former Yugoslavia. Result: Trieste and its surroundings are seeing the standard of living rise rapidly while its own economy stagnates. There is little doubt which is currently doing better by its citizens. Thousands of working Slovenes and Croatians, labourers, home helps, agricultural and factory workers flood into NE Italy every day to earn double (Slovenia) or treble (Croatia) what they would earn at home. They often pop across the little secondary borders (closed to non-locals until last year and each now manned only by a couple of Italian carabinieri) using a special document, the 'lasciapassare' o 'prepusnica'. They've been doing it since the 1950s. It's a shame that the Italian taxman doesn't know about them, or if he does he carefully turns a blind eye to it. 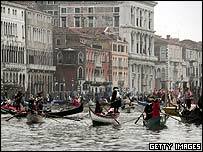 Venice, a 300km round trip from the border, plus 15 euro in road tolls would be too long a commute, even for hardy ex-Yugoslavs. Taking a flat in the dreadful town of Mestre would eat up any of the advantages of leaving Koper or Nova Gorica. Good evening Sirs/Madams, I have been living in the lovely, multiethnical city of Trieste, on the border between Italy and Slovenia, for almost ten years now. Starting from the beginning of the war in Kosovo until the new ten Countries have joined the EU, right three years ago, I have noticed that people from both sides hardly feel like they would move across to the neighbouring Country for a job. Actually some sail makers daily drive from Capodistria (or Koper) to work in the factories of Trieste, to my knowledge. The rest is nothing but croos-border shopping and/or tourism. Such a shame, indeed. Because I had rather I experienced myself working for a couple of years in the lively spot of Ljubljana, in order to mix with the Slavic/German culture for a while than rejecting, as many do, the opportunity to share knowledge and develop skills with the closest European people I daily hear talking on the streets and on the radio in the city I live. Learning the language is, by the way, not so easy for both sides, which does not help. I believe we should be more opened towards each other. But we need a massive communication campaign, business joint ventures, and shared logistics. Italy's attitude to European workers is epitomised in its treatment of foreign language lecturers (British, Irish, French, Belgian, Gernan, Spanish etc) in Italian universities. Italy is the only European country which the European Court of Justice has found guilty of discrimination on the basis of nationality, violating as it does one of the fundamental principles of the European Union. In January of this year, after almost 16 years of rulings against Italy and no sign of compliance, the European Attorney General approved sanctions of almost 300,000 euros per day - expected to kick in soon and to continue until this discriminatory policy is stopped. How much will the Italian government pay to uphold its "principles"? As a language teacher living and working in Italy, I can confirm what Geraldine Boyd says (above). I had to wait four hours in Palermo's Questura (police station) to register for a Permesso di Soggiorno (permit to stay) despite holding a British, and therefore EU passport. Four years ago I had to repeat the same fiasco when studying at Italian university in Padua. If a British national as to queue for the right to teach English here (what, are Italians going to do it?!) then what chance does a Slovenian shipbuilder have? I have been living in Spain for 15 months, coming from Italy holding my economic university degree. I requested the endorsement of the degree the first month. I am STILL waiting to know if the spanish ministry of education considers that Italian universities are providing a good enough education to their pupils to be able to interact in its internal market! Fortunatly the market is much faster than burocracy. Should the politicians learn from the market they create? The Roman festival you're after is "Saturnalia", Celebrated at the end of December for Saturn, the god of grain and agriculture. All this I found out form Google in about 10 seconds, I tried out Quaero, but gave up after a couple of minutes having found nothing! Firstly, thanks for the article about music in Europe. Your intentions, however clearly stated, were of course widely misunderstood and lots of people seemed to get quite angry at you. I enjoyed it and was one of many who spent some time searching for your camera-man (grrr!) :-) re this article, I think Italian reluctance is influenced very heavily by the stream of illegal immigrants from Africa and the Southern Balkans. I hope it's something they get over quickly. For my part I wish long-term immigrants were allowed some political status regarding rights to vote. I've been here for more than 20 years paying taxes to Rome but I can only vote in local and European elections. Unless I renounce my British nationality and become an Italian citizen I will never get a voice in who runs the country. David Macdonald in Garda: A very cogent point - fits in well with Mr Mardell's comments. What am I to say - I have absolutely NO voting rights at all, must pay taxes, have lived here in an EU country for nigh on 30 years - when is the EU going to introduce a pan-EU citizenship? Make it voluntary, and permit people to retain their national citizenships. That would show who is serious about it and who is not. D.Fear, Heidelberg, Germany said: "I have absolutely NO voting rights at all". As David Macdonald pointed out, you have a vote in local and European elections. I certainly did during my five years in Germany. I am an italian citizen living and working in the UK therefore paying taxes in the UK bbut I don't have the right to vote in the British general elections. If you are a foreign national no EU country will allow you to vote to their general election. Voting where you pay taxes will show real european integration!! You are paying tax to use the facilities of the host country you are staying in ie:nhs,police,schooling etc etc.My wife's German and has been here for over ten years..she can't vote here and I can't vote in Germany even though we own a property over there.. These labour restrictions within EU member states, make a mockery of the Treaty of Rome and add to the disillusion of the political forces we have today. If we place restrictions on all the French, German and Italian people working and living in this country, of course those countries would raise an outcry. Once again, this typically shows the "unity" of the EU. Paola writes: "If you are a foreign national, no EU country will allow you to vote [in] its general election." She's wrong. For bizarre historic reasons, the UK allows resident Commonwealth and Irish citizens to vote in all its elections. I think the 'servants become masters' day is Carnival, particularly in Northern Germany, where they put their clothes on back to front and upside down, and generally get very merry on German beer and kidnap their bosses. High unemployment in Germany and France is caused by their rigid and inflexible labor markets, not by migrants from the new member states. If anything, labor migration from the East is likely to help these countries as it will increase the pressure for a reform of their labor-market institutions and regulations. Anyway, there is little point in closing their labor markets to immigration from the new member states. We already have free trade in Europe: if the old members do not allow labor to move West, jobs will migrate East instead. I was astonished to read that as a long term citizen of a country you can be taxed but get few voting rights. Taxation without representation?! hold on isn't that how revolutions start? My initial reaction was typically english - dual standards, etc. Then as I read through the article I considered it further, and thought - why were we not made aware of this and had not also applied these restrictions ? The UK has an immigration problem, not only from Europe but from former colonies, and all in one of the smaller but most densly populated countires in Europe. GDW is right. The UK does have an immigration problem. It is not getting enough immigrants in to service the (often under-advertised) labour shortage in the South. The UK does not have a blundering history of blind compliance to European rules that don't serve its purposes. The government obviously sees good reasons to welcome these migrants. In fact, the UK economy is benefiting more from the new workers than the A10 countries are themselves! GDW - there is not an "immigration problem" in the UK. As every study on the issue has shown, immigrants from the new EU States have not taken jobs from British people, but are instead doing the lower-paid jobs that British people don't want to do. This is partly because the minimum wage here is higher than many average wages in the accession states. So they are doing us a favour! It is very hard for an Eastern European with no work experience here to get a well-paid job, as employers are not keen to employ people with no previous UK work experience unless there is no-one else available. Dear Simon Smith, unfortunately, it's not the bureaucrats who stand against the free movement of labour from the East, it's the people in the street, in whose minds the Berlin Wall is as high as ever. Besides this, they may have lost their colonies, but not their colonial mentality. Hi. I am Pole living and working in the UK for almost 2 years now. As I came here only a year after I finished my MA I had to have my qualifications recognized. The biggest problem was - the degree was recognized below, even if in other cases (people from the same university) had that at the MA lever. My point is: what happend to the standardarized qualification recognition etc. which still are figuring at EU websites? I don't mind doing quality work for less than 'normal wage', but why can't I get experience and use my knowledge while I can and want?!? Also question raised by Rob: why Poles (if we come back to PL) need to pay 40% income taxes and cannot deduct almost anything out of approx. 50% of our income spent on rent/council tax etc. I didn't come here to live on social benefits - I wanted to work, and work hard. Some things needs to change! Been born in former communist country and now working from several years in UK (also I spent some time in the past in Switzerland) I definitely have seen some strange thinks happen: In former communist countries we see currently some very wild form of capitalism, corruption and a lot of organised crime - you can vote free and there is freedom of speech and movement. In the past it was possible if you come from communist country to ask for asylum and to get work permit immediately - not anymore, now we have democracy and as we used to joke with my friends - what the use is of this democracy, the only benefit is that you can not emigrate anymore :-) In UK political correctness reaches ridiculous heights ¿ teachers can not teach any young and you can imagine what kind of bulling is there. In France you can go to jail by law for 3 years just telling some joke for blonds. EU is one very huge big socialist type bureaucracy ¿ believe me I used to leave in that kind of society and now I fell like I am having deja vue. The only real European democracy for me is Switzerland, and I think this is the way EY should go ¿ you have all the benefits there for the citizens to move free in all cantons, but you do not have huge bureaucratic central government ¿ but I do not believe Eurocrats in Brusseles will let that happen ¿ freedom for all European people, after all this chat proves it ¿ people from all the European countries can live together. Simon Smith, like most Brits, again takes the easy option and blames everything on Brussles. However, he has actually got it all wrong in this case. The 'faceless bureaucrats' of the Commission would love nothing more than to see complete freedom of movement across Europe as this would be an affirmation of their pan-European ideas. In fact, in this instance, it is quite clearly the members states that are responsible for the current restrictions we see. By the way, one of the most restrictive practices you will encounter on this issue relates to non-EU family members of EU citizens. Under new rules they should be able to travel around with almost no restrictions at all. However, just try doing this in practice! It is an utter mess of a system. While some countries appear to have waived visas altogether in these cases, others continue to impose excessive paperwork and delays on what should be a simple and accelerated procedure. Meanwhile, Britain has again opted out of these new rules - which is bizarre as the UK has been the most open to freedom of movement in many other ways. I have been living and working in London since a year and a half ago and during this period of time my understanding of modern, integrated EU has disillusioned. Personally, I do not feel as a second class citizen. In over all, I can be intelligent or stupid, environmentally concise or un- concise, loving or hated just as any other EU citizen no more and no less, but still most of them would say: " she is from east Europe." Therefore yes, let's admit the labelling of the second class citizen has to do something with the country of origin and let's not pretend that it does not exist. I have sensed some disapproval against "ex hard Yugoslav" in the comment written by Paolo, Trieste (Italia.) Paolo forgot to mention how many Italians have been migrating to UK recently where they are much better rewarded for doing the same job as in Italy. The most common sectors where you can meet IT are restaurant, bars, supermarkets, hotels and on busses as bus drivers. How sadly, I do not understand why somebody from IT would be more welcome to live and work in one of the EU countries then somebody from central or east EU countries? Or somebody from SLO working in IT e.g. If we look at the two workers: first coming from Poland and the other from Italy, both migrating to UK, living in London and working as buss drivers. In this case, has somebody from IT a privilege to be treated differently then PL ? Definitely not, but we all know that there are differences in the system. If I just stress out citizens of the accession countries need to pay £70 for a work registration scheme in order to work in UK¿ however this is only one of the special treatments. So, why do not rules of EU apply for everybody equally? However, my opinion is that most of the pupils I talk to (can be British, Irish, Italian, Romanian, Polish, German.) associate slo with something there in East, not even sure how to name it. Especially, my friend Max from Torino, when we met he was not aware that his home country where he was born and breaded has a border with Slo, (I oddly have to mention it is not a lonely case). Max immediately joined SLO and SK into one country (sic)! The next question goes: "How is Bratislava?" Even serious daily newspapers are mixing those to lands when describing in their articles immigration issues in UK or EU and related subjects. Not to mention authority body such as Home Office-when I had to register with HO in order to obtain a sort of work registration ID, I painfully had to pay the registration fee at £50. Upon a conclusion, I received a brochure via post issued by Home Office where the guides for accession workers are described in all the new languages apart from the Slovenian. Again, another symbol of a hilarious identity question mark. So, a simple question -why is Slo such a mystery to an EU citizen? Why so many pupils can not point it out on a map. I presume, not everybody in a school got a flue when Geography was on the program. So, is this something to do with media, with EU propaganda, Slovenian governmental promotion? I strongly believe that the present picture of SLO in EU are consequences of several acts, a big mixed salad, based on a history, actual political relations and the capability of each individual in EU-his/her perception as well as promotion. The other issue refers to one post that mentioned nationalism. I study in the Netherlands, which has great people, but there is one painy thing. Many times us, ex-communist or Eastern Europeans are a 'lower-class' people, or people from 'over there'. Even though we were not colonial countries and did not exploit and abuse other nations, this does not say we are a lower class or a 2nd class people. Yes, I am proud to be from 'over there'. David Macdonald is wrong. You do not need to give up your British nationality to obtain Italian citizenship. Don't know where he got that one from. I hold British, Irish and Italian nationality - no problem - and recently voted in the Italian elections after living here for just two years. We must stop the kind of language old/new Europe even if it's true that there cultural ,economical and geopolitical differences.... That kind of angle is counter-productive at least and feeding intolerance. Before starting pointing fingers at each other ,we must look seriously at one major issue: How can we have an open-border policy in countries where unemployement is reaching nearly 10%? Germany ,France and Italy have major employement issues for Heaven's sake!!! We cannot accuse others of protecting their own fragile job opportunities!!! What will happen when the "New Europe" will be suddenly confronted with the new kids in town ,Rumania and Bulgaria,exporting cheap labour to their country,watering workers rights and benefits? If you take the case of Poland who has a very populist and nationalistic government ,prone to push its own agenda as seen recently at different European meetings,it is easy to foresee their knee-jerk reactions to foreign labour import... Ireland ,the UK and Denmark all have something in common :A very low unemployement rate around 5% and therefore a need for skilled workers... If the business elite is encouraging this policy ,the ordinary British or Irish are far from sharing their leaders impetus towards free movement.... Mark mardel is trying to compare coutries parameters who are different..... How can we compare countries with no employment and the 12% ofthe German economy without being completely out of touch of the realities behind the issues especially when the countries cited are known for their masive immigration input since wwii? It would be interesting to foresee their labour policies if the above rate was near the 10% mark. It is always easy to ask neighbours to be leti n ,the future will tell us if the same open-border attitude will be welcomed when the new boys will be knocking on your doors !!! Why does a car have shock absorbers? To prevent it from bumping of the road at the smallest pothole! No one gains from almost chaotic swings and counterswings, not the people already inside the car, neither those standing by hitching a ride. The workers' movement restrictions will be gone by 2012. Can we have some historic perspective please? Our grandparents suffered the brutal strokes of fascism ('till 1981 in Spain), our parents the slow cancer which is communism. What are another 5 years of admittely slow administrative and legal conformance compared to that? In response to Oscar Lima (Brighton, UK), you are, unfortunately, wrong on two counts. The Alinghi team was skippered by a New Zealander (Russell Coutts), who moved to the Alinghi syndicate after twice winning the America's Cup for New Zealand. The Alinghi team also contained a number of other prominent New Zealand America's Cup veterans, not the least of whom was the tactician (Brad Butterworth). Nor were the first people to conquer Everest British - Sir Edmund Hillary is a New Zealander, and Sherpa Tensing Norgay was Nepalese. Can we please once and for all be done with the whole ex-communist thing? We as a people never wanted to be communist. Hungary with its 10 million took up arms against the Soviet Union (a world power) 50 years ago and opened the borders (i.e the iron curtain) to East Germans in 1989. Remember that? What about the Poles starting their fight in 1980? Or the Czechs in 1968? Were we communist then? Does anyone really think we wanted to be communist? Go on, keep calling us ex-communists if that makes you feel any better about standing on the sidelines in '56, '68 and '80. Be happy that your country was not on the wrong the side of that piece of paper in Jalta back in 1945.